Yearly 100,000 U.S. CHILDREN GO BLIND! Make a Difference. The UCSD EyeMobile for Children at the Shiley Eye Institute is an unprecedented program that serves as a community health model in overcoming barriers to care for the underserved. Keys to our success include the use of the latest information technologies including electronic medical records, a dedicated multilingual staff, student and community volunteers. The major components of the program are listed below. Since the start of the UCSD EyeMobile in 2000, the program has made great strides in serving the San Diego Community. This program has been made possible by the contributions of generous community members. These donations have allowed for the tremendous growth of the EyeMobile Program since it was founded. With your help, we can continue to expand our program and provide services to a greater number of children in the San Diego County. The mission of the UCSD Eyemobile for children is to give young, underserved children the vision they need to succeed in school and in life by identifying, treating, and preventing vision disorders. 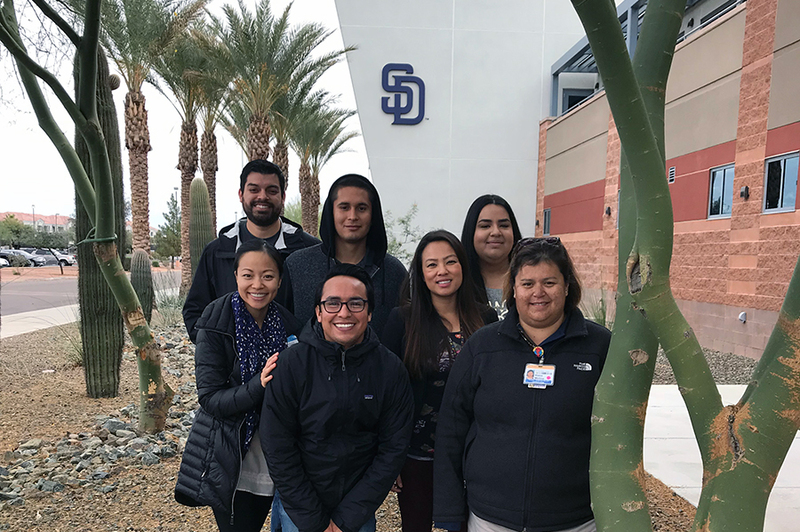 The Division of Community Ophthalmology at Shiley Eye Institute is dedicated to developing and implementing model programs that serve two diverse segments of San Diego's population, our county's underserved preschool children and our county's seniors diagnosed with macular degeneration. These unique programs have been embraced throughout the community and are improving the quality of life for thousands of San Diego's seniors and young preschool children. Jacqueline couldn’t even write a letter. After she got her glasses, she would write her name and also make pictures with lots of details. As a teacher, I think that it is very important that children are screened as early as possible to meet their educational and developmental needs. Childhood blindness is a solvable crisis. When I noticed that my middle child, Danielle, was not keeping up with the others, I started to worry. I never suspected she needed glasses. Because my insurance does not cover vision, and I would have to take a day off work to get her an exam, Danielle almost didn’t get the help she needed. The EyeMobile program came to her preschool and did her exam. The prevention of avoidable visual impairment will be achieved only if effective, efficient, comprehensive eye health-care services are integrated into well managed, well-monitored national health systems. Strabismus is a lack of alignment between both eyes. Both eyes can not focus on the same object at the same time. Myopia is when objects are seen clearly when up close, but objects are seen blurry when are far away. Hyperopia is when objects are seen clearly at a distance, but objects are seen blurry close up. Astigmatism is when vision is blurry at any distance due to a lack of a single focus cause by shape of the cornea. Amblyopia; vision in one eye is impaired because the eye and the brain are not working together. The brain will suppress the weaker eye and will take images from the stronger eye. If the condition goes untreated the weaker eye may become useless. Failure to recieve FOLLOW UP. Two studies published by the American Academy of Ophthalmology 40 to 67 percent of children who fail a vision screening do not receive the recommended follow-up care by an eye doctor. 100,000 AMERICAN CHILDREN GO BLIND NEEDLESSLY. 500,000 CHILDREN BECOME BLIND EACH YEAR. About 500 000 children become blind each year, mostly in developing countries, roughly equivalent to one child becoming blind each minute. Visual Impairment in Preschool Children in the United States. exams to the underserved children of San Diego County.